Record numbers of single women are becoming first-time homebuyers. 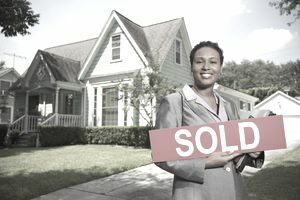 Statistics from the Joint Center for Housing Studies indicate that more than one in five home buyers is a single woman. Twice as many unmarried women are buying homes as single men, and the National Association of Realtors indicates that many of them are age 72 or older. Three out of four women spend less than $200,000 on a home, and they prefer two bedrooms or more. They're less likely to choose new construction, and they'll compromise size and cost to get other amenities. They will not compromise on location or quality of the neighborhood. They like to engage in social interaction with neighbors. They buy in cities more often than in suburban areas. They want close proximity to stores, shopping, and fitness centers. Women prefer condominiums with well-run homeowner associations over single-family homes. They desire security and/or gated access. Smaller spaces are acceptable. Does this sound like you? You'll want to consider a few things before you write that check. On the plus side, you're really just flushing your money away when you rent. You'll have nothing to show for it but a roof over your head for another month, whereas paying off a mortgage provides you with an asset that adds to your net worth. What's not to like about that? But buying means a much larger outlay of upfront cash than signing a lease, and you'll be solely responsible for fixing things when they go wrong...and they inevitably will. Repairs and maintenance can be costly, and you'll have only one income, your own, with which to meet these expenses as they crop up. Of course, you think you know exactly how much you're biting off, and you might be right. But why not take a bit of time to educate yourself even more? Take a homeownership class so you're sure you really have a firm idea of what to expect when you purchase your own home. HomeFree USA offers one, or check with state services. Some offer free classes. Are You the Handy Type? Old stereotypes can be thrown out the window these days. Many women can handle a hammer or electric drill just as deftly as they can wield a sauté pan. But if this isn't you—or if it is but you're just not thrilled with the idea of spending your weekends doing manual labor—you might want to look into buying a home warranty. Yes, it can be a bit of an expense, but such a warranty can be great insurance against really big and costly repairs or replacements, such as your water heating giving its last breath. And the warranty will usually foot the bill for smaller problems as well, so you don't have to heft that hammer yourself. It's not just a matter of repairs, either. Certain maintenance issues are an ongoing thing, such as mowing the lawn if you purchase a single-family home. Ask yourself if this is something you want to dedicate yourself to on a regular basis so your yard doesn't begin to look like a wilderness. Can you find some extra cash in your budget to pay someone else to take care of it? You might be preapproved for a mortgage, but think carefully before you spend every last dime the lender has promised. Again, you'll only have one income with which to meet expenses, so you might want to consider leaving a little wiggle room in your budget in case of emergencies, such as illness or unexpected job loss. You also might not want to become a slave to your mortgage, which can happen if your monthly payment is steep. Are you really willing to give up certain aspects of your lifestyle, such as frequent meals out, in exchange for owning your own abode? If your answer is no, you might want to look at more modest properties. Home is where the heart is, after all.